The Grid Daybed by Petite Friture is a modular seat that is distinguished by its graphic design. 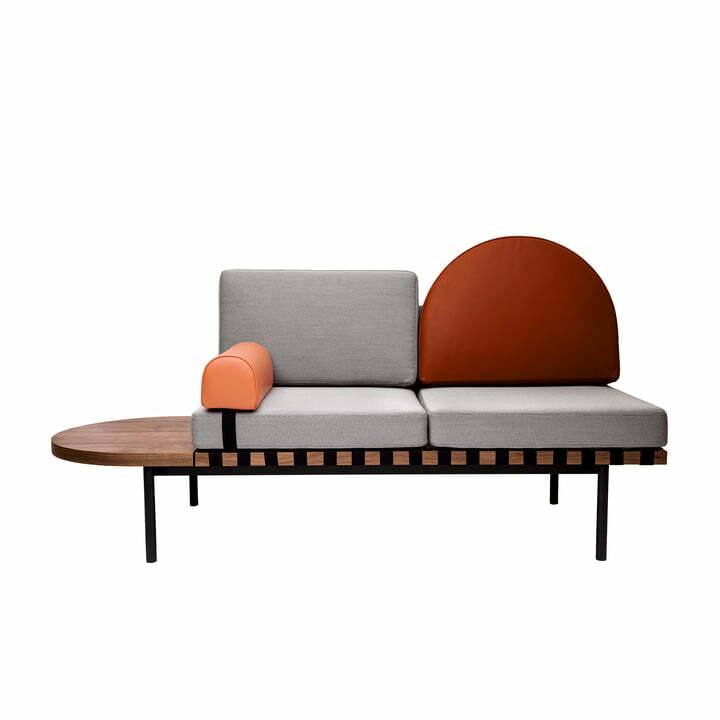 The daybed was designed by Pool Creative Studio, which expresses its penchant for the Bauhaus style here. Several basic modules determine the design of the daybed and in combination result in an extravagant piece of furniture. 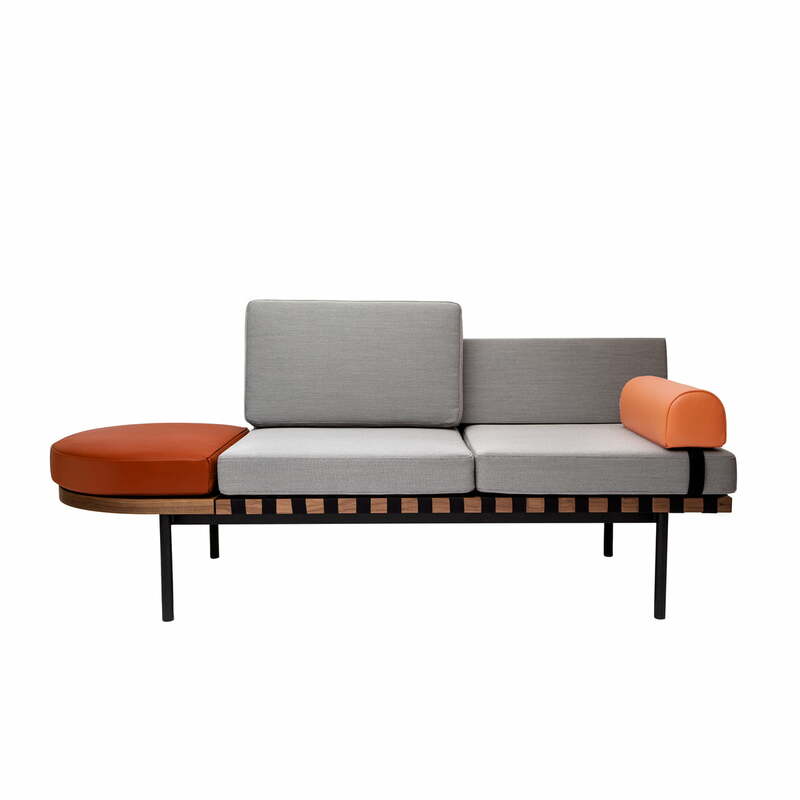 With its modular design, the daybed can be assembled in various materials, colours and shapes. The cushions are available with fabric or leather upholstery, for example, and are available in round or classic angular shapes. A walnut table, which emerges from the seat, offers space for the storage of various things and fits in perfectly with the overall appearance. Narrow, high legs made of lacquered steel round off the design and make the daybed appear airy and light. As a seating opportunity in the corridor, in the office or as a supplement to an existing seating corner in the living room, the Grid Daybed attracts all eyes and adapts to every taste thanks to its modular concept. The Grid Daybed of Petite Friture in the ambience view. Several basic modules determine the design of the daybed and in combination result in an extravagant piece of furniture.